Buffalo Chicken Salad is so simple and absolutely bursting with flavor! That, my friends, is how you know you have a winner. 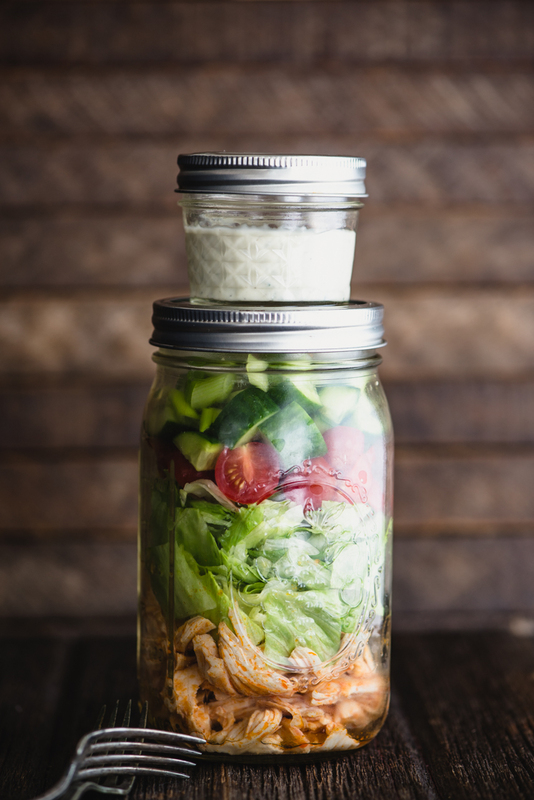 Now, surely you don’t have to store this Buffalo Chicken Salad in a Mason jar. 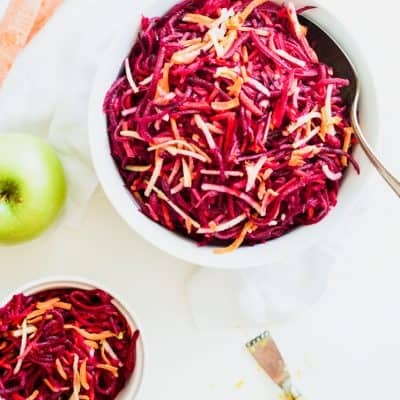 You can definitely serve it in a big bowl skip the jar altogether. Do what makes the most sense for you! I paired this with a Homemade Dairy-Free Ranch Dressing that uses mayo as the base. Scroll down to see that recipe. To make the buffalo sauce, I used Frank’s Red Hot as the base. It’s just cayenne peppers, white vinegar, water, salt, and garlic powder. On its own, it’s a bit salty, so check the seasoning before you salt and pepper the final dish. Buffalo chicken aficionados will quickly notice that I stripped down the buffalo sauce ingredient list. Don’t worry: This Buffalo Chicken Salad has plenty of flavor! You can use any greens as the base of this Buffalo Chicken Salad. We don’t eat iceberg lettuce a ton, but I like it in this dish because it’s crispy. If you’re not into it, use whatever salad greens you like. This would be great on butter lettuce or chopped up romaine. As for toppings, experiment! Instead of the green onions, some very thinly sliced red onion would be super tasty. Toss on a hard-cooked egg, crispy bacon, or even some extra veggies. It’s up to you! Which Dressings Go With Buffalo Chicken Salad? Feel free to use whatever dressing you like to complement this Buffalo Chicken Salad. 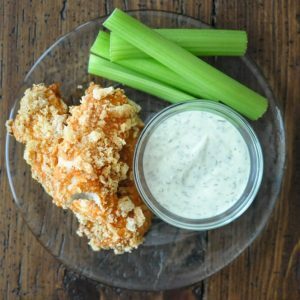 Traditionally, buffalo chicken is served with blue cheese dressing, but that’s pretty hard to make dairy-free. Instead, I paired it with a dairy-free jazzed up version of ranch. Buffalo Chicken Salad is so simple and absolutely bursting with flavor! 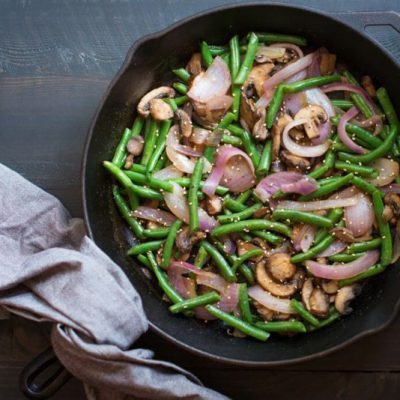 It's perfect for packed lunches or quick dinners on any weeknight! 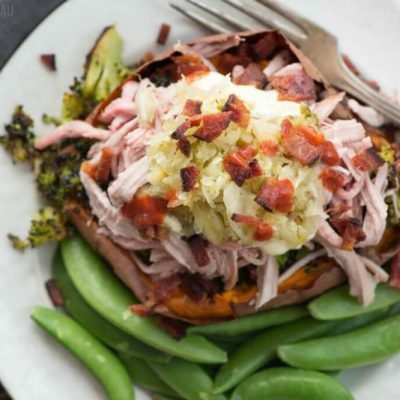 Paleo, gluten-free, and whole30 friendly. Optional toppings: sliced celery sliced avocado, crispy bacon, etc. You can cook the chicken however you’d like. It would be great pan-fried or grilled, but here’s a method for poaching that results in moist, shreddable chicken: Lay the chicken breasts flat in a large, high-sided skillet. Add generous pinches of salt and pepper. Add water until it just covers the chicken. Cover the skillet, and bring the water to a boil. Then reduce the heat to a simmer. Poach the chicken for about 15 minutes or until completely cooked through, then move to a plate to cool. Once the chicken is cool enough to handle, shred or dice it. While the chicken is cooking, make the buffalo sauce. In a small bowl, combine the hot sauce, ghee, vinegar, and cayenne pepper. Mix until well combined. When the chicken is cooked, toss it with the buffalo sauce. If making the salad in a bowl, layer the lettuce, tomato, cucumber, and green onion as the base. Then arrange the chicken on top. Serve with your dressing of choice. 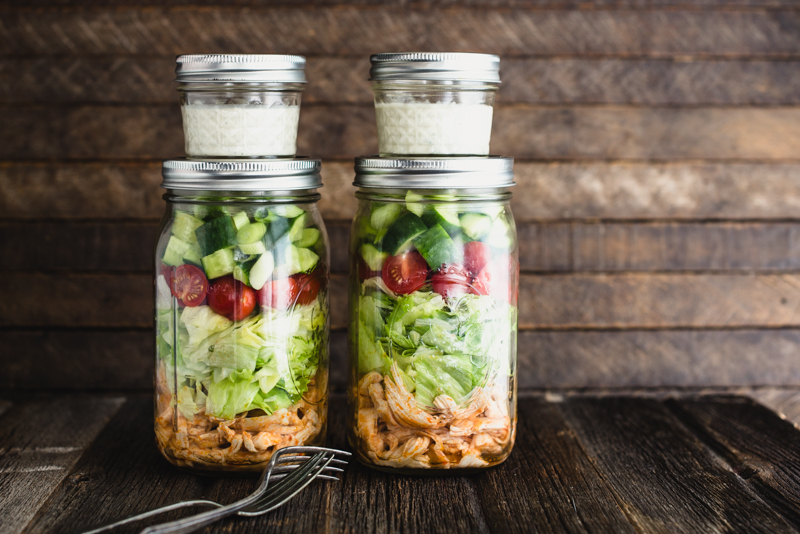 If making the salad in Mason jars, layer the chicken on the bottom, followed by the lettuce, tomato, cucumber, and green onion in quart-sized Mason jars. Store the dressing separately until ready to use. Store-bought ranch dressing is either packed with unhealthy industrial seed oils or—in the rare case it’s made with good oils—hugely expensive. It’s too bad because homemade ranch dressing literally take 2 minutes to make and serves as a creamy, dreamy base to a myriad of dressings and sauces. 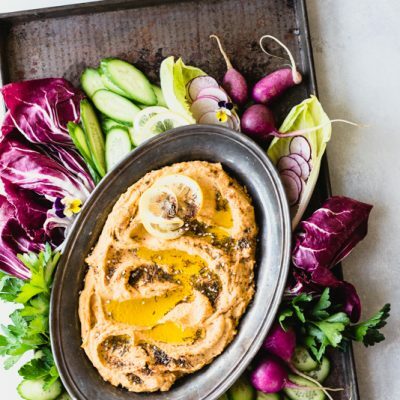 In a medium bowl, combine the mayo, 1 tablespoon of the coconut milk, lemon juice, parsley, chive, onion powder, garlic powder, and pepper. Mix well until completely combined. Check the salt level and add sea salt to taste. If the dressing is too thick, add more coconut milk one teaspoon at a time until it’s to your desired consistency. Serve immediately or store covered in the refrigerator for up to 5 days. Do you love this Buffalo Chicken Salad as much as my husband? Leave a rating and comment below. I’d love to hear from you! 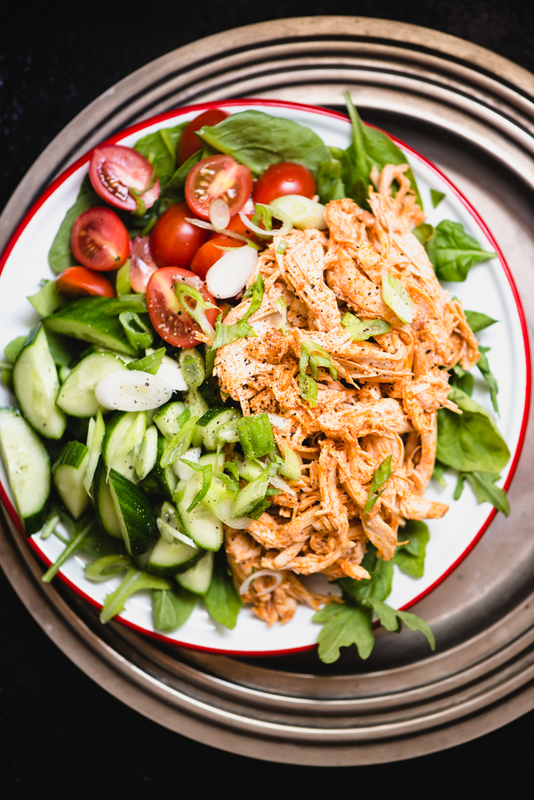 Pin this Buffalo Chicken Salad for later! I’ve never done salad in jar before and I’m pretty new at Paleo. My question is how long does the salad be stored for? Will it last a few days? I truly love the idea of it all and being a single guy I think this would help with my prep as well. Pardon the newb question Steph, but how do you eat the salad out of the jar. Do you shake it up with the dressing and get everything coated and just go for it? Or do you end up dumping everything out into a bowl and eat it that way? I just dump it onto a plate or bowl 🙂 The jar is more for transport / storage. I make a pot of chicken broth every week. We drink the broth at least once a day. Some days I turn it into chicken soup. Other days, we just eat the chicken (great to slice and put into a kid’s lunch box). But sometimes we get tired of plain chicken, and I add some seasoning (although the plain chicken is definitely way faster). I am always on the lookup for fairly simple recipes for adding some variety and seasoning to the chicken. Will be giving this a try. That’s a great approach, Nancy! Sweet!! Super glad to hear that, Dorothy! 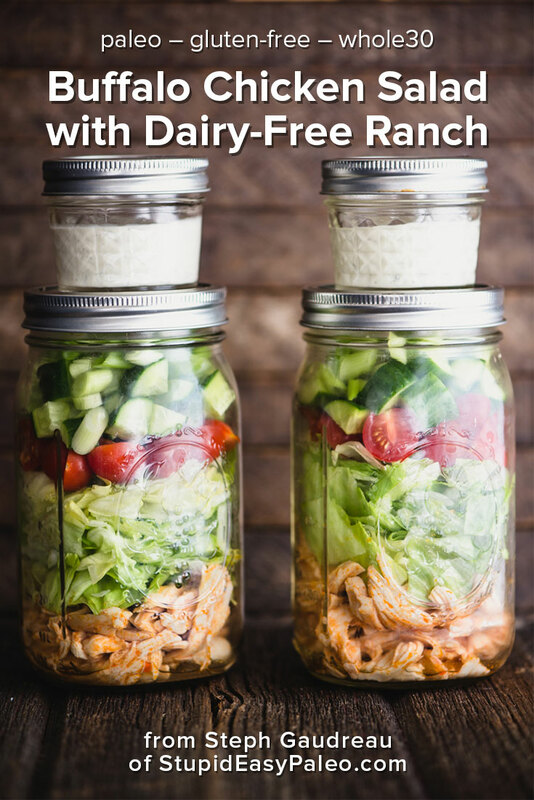 I have used other salad in a jar recipes and this one looks great. Can’t wait to try it. What I’ve done in the past for transport/storage was put the dressing in the bottom and load the heavier veg into the dressing then all the meat and add-ins like bacon or nuts, then the greens on top away from the dressing where they won’t get wilty. when you are ready to eat, shake it up and pour it out. Marsha, I’m excited to hear that you enjoyed it! Making it for the third time today…my husband also asks for this delicious salad. Thanks so much for sharing another recipe that makes my life as a celiac much easier! Sweet!! Super glad to hear that, Maggie! Sooooooooglad I stumbled accross this site. Can I use coconut oil instead of ghee? Hi there…you could but one of the special ingredients of buffalo sauce is the buttery flavor from the ghee. Traditional recipes use butter. If you didn’t want to leave ghee, I would probably just use the hot sauce and skip the coconut oil. I don’t think you’d be happy with how the taste comes out with coconut. Very good for a quick and easy meal when you don’t have time to cook a huge dinner. The only thing I changed was I used 1/2 cup of Frank’s Buffalo Hot. I love mine spicy! 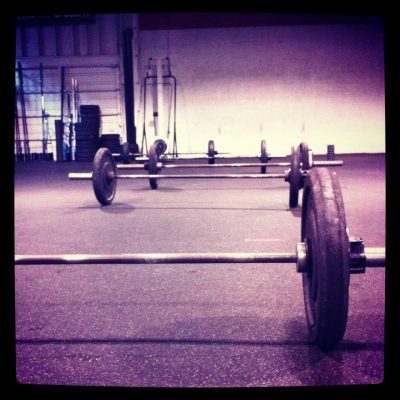 First…. this sounds amazing. I need to make this! 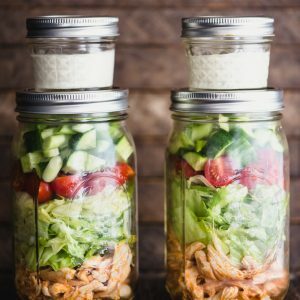 I’ve been talking about making salads in a jar for (like) ever……. It’s time! this would be amazing for my retreat in September……. Second…. the photos are gorgeous…. I especially love the top one!! Hi Kim! There’s something about the Mason jar that’s just more fun 🙂 I was trying to work out a little bento scenario with a 1/2 pint jar for the dressing but I couldn’t get it to nest. There’s a company called Cuppow that makes cute BPA-free dressing cups that fit right inside the mouth of the jar. I can’t wait to see what you create…the sky is really the limit! George, nobody said paleo is about cutting out all carbs, my friend. That’s a common misconception. I eat carbs and have good muscle mass. Hi Stephanie, Thank you for sharing your thoughts, I’m sure you’ll find more valuable information exploring the site. Have fun! I had some leftover chicken in the fridge and was really dreading whatever boring thing I was going to do with it (woe is me.. ho hummm) but THEN I saw this recipe on your Instagram feed and suddenly I knew what i was going to do with that leftover chicken! YIPPEE.. It did not disappoint.. it was scrumptious and now, I have another go to recipe to use with leftover chicken that won’t make me go ho-hum! 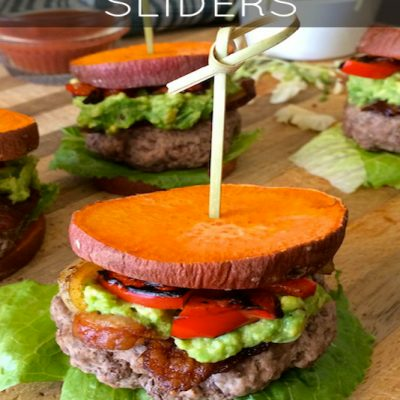 I added the optional avocado and bacon – so worth it! Thanks! Hi LeAnn, Thank you for sharing your thoughts, I’m sure you’ll find more valuable information exploring the site. Have fun!